The green and white set ties the future of one of its most promising players. He already made his debut with Setién in the first team. 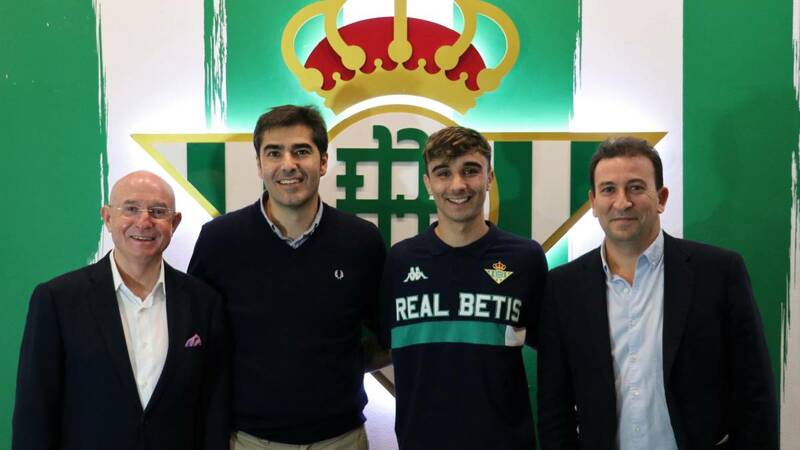 The Betis today announced the renewal of Robert until 2024. The squad, considered one of the pieces of greatest potential of Betis Deportivo, thus receives the confidence of the club facing a future in which aims to make the leap to the limelight. He already opened with the first team in the hands of Quique Setién and now awaits more opportunities after turning 18. The green and white club issued a statement to announce: "Betis and Roberto Gonzalez renewed the contract that joins them. Mérida, January 6, 2001) will continue to be linked to the discipline of the Thirteen Barras club until 2024. International sub 18, Roberto entered the youth academy in the 2013-14 season from Mérida CF. The progression of the player from Extremadura has been constant during all these years and has been accompanied by interesting records in all stages of training Roberto accumulates this season 11 goals in 20 games with Betis Deportivo, where he is a fixed for José Juan Romero. His good work with the subsidiary allowed him to debut with the first team in the first leg of the round of the Copa del Rey against Racing Santander ". El Betis gives continuity thus to its intentions to shield its youngest figures and to take care of its quarry after a season in which they were numerous the jumps to the first equipment. After signing Diego Lainez, a Mexican of only 18 years, the Verdiblanca club ties the future of Robert and thinks of tomorrow with more guarantees than ever.